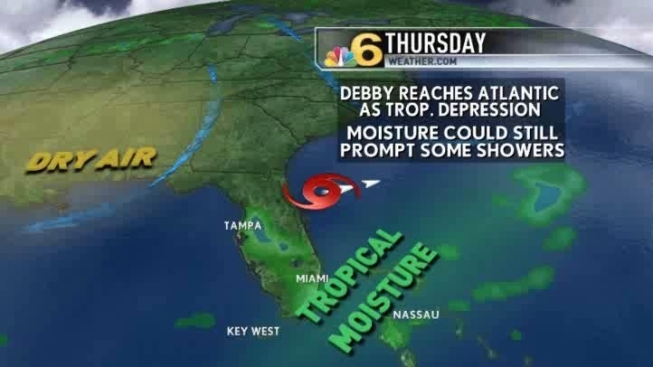 Debby will be pushing off the East coast of Florida Wednesday, and taking much of the tropical moisture with her. There will continue to be a few fast-moving showers, from what’s left of Debby’s outer rain bands. Drier air is starting to move in behind the storm and that will help these showers decrease as well. 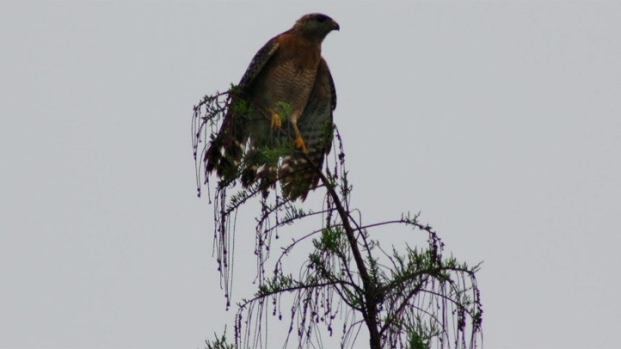 There is a 40 percent chance of showers Wednesday, dropping that to a 30 percent Thursday. Highs will make it to near 90 degrees, with breezy conditions. Winds will be SW at 15-20 mph. There is a small craft advisory for the offshore waters, with seas two to four feet. 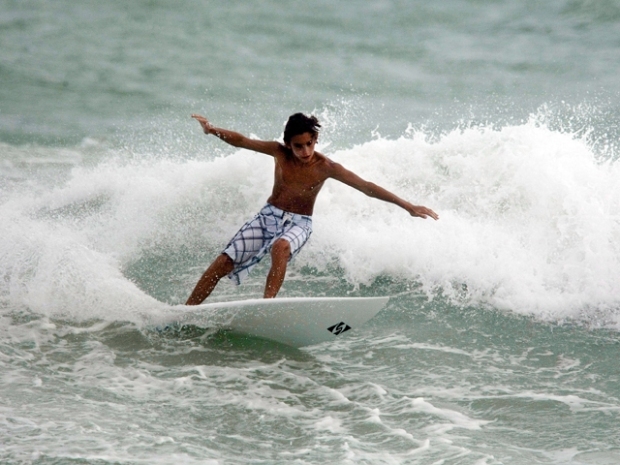 Seas near the gulfstream will be five to seven, and near nine feet at times. Rain chances could continue to go down Thursday through the rest of the week, with highs around 90. There is a 30 percent chance of rain for the weekend, dropping to a 20 percent chance at the beginning of next week.